A green roof, or vegetated roof, is a system composed of succulent plants and soils that collect and absorb rain during storm events. They can be installed upon existing rooftops or installed when a traditional rooftop is being replaced, provided the structure is strong enough to carry the additional weight. They are efficient at reducing stormwater pollution, energy consumption, and improving overall air quality, among other benefits. Such benefits can be broken down into two categories, Environmental and Social. Installing green roofs on residential properties is becoming a more popular trend as people learn the economic and environmental benefits to having them. There are many opportunities and resources available for the Do It Yourself eco-savvy folks out there, however the structural integrity of the existing roof should always be analyzed by a professional as a first step. 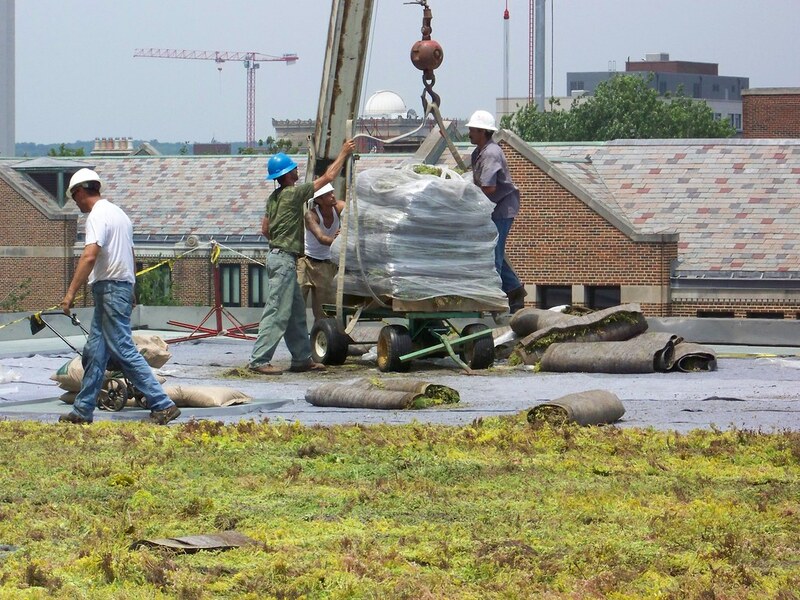 Green Roof Installation at Kresge Library, Ross School of Business at the University of Michigan. Image courtesy of Corey Seeman. 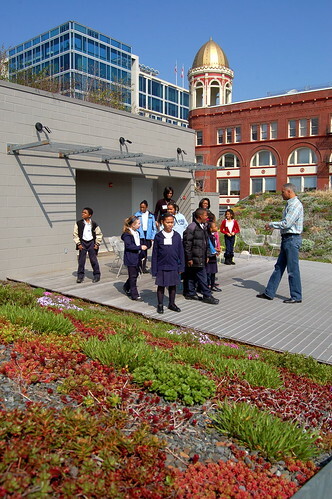 Students visiting a green roof in Washington, DC. Image courtesy: Drew Saunders.